Chhairo Gompa is located in lower Mustang, Nepal which borders Tibet to the north. We welcome visitors, and you can choose to travel here either independently or by participating in a RWI trip, which is reviewed in the 2013 Cicerone “Annapurna: A Trekker’s Guide” and in the magazine Past Horizons. 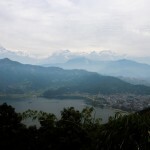 From Kathmandu either fly (30-45 mins) or take the bus to Pokhara (5-7 hours). There are daily ‘tourist’ class buses as well as numerous local minibus taxis which leave when full. Once in Pokhara you can fly to Jomsom (45-60 mins) or again take the bus. There are only local buses and you will need to change at Beni and then at Ghasa. There are small hotels at both locations. Patience and tenacity may be useful if you chose to take the bus without assistance from a Nepali speaker! But you will be rewarded by the views and changing geology as you follow the Kali Gandaki river. To reach Chhairo, you can get off the bus from Pokhara at Tukuche, at the small footbridge south of Marpha or in Jomsom itself. If flying to or from Jomsom, north of Chhairo you can catch the bus south to Marpha (about 20 mins) or walk along the river (1-2 hrs). 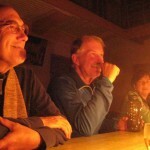 There is plenty of accommodation to choose from is it is a popular starting point for trekkers. 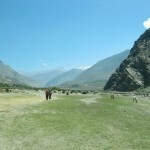 Jomsom, north of Chhairo, is a popular starting point for trekkers and there is plenty of accommodation to choose from. You can catch the bus south to Marpha (about 20 mins) or walk along the river (1-2 hrs). 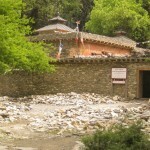 The gompa can be found by crossing the small suspension footbridge just south of Marpha to the left (east) bank of the river. It is nestled amongst the trees next to the more visible Namgyaling / Tserok Tibetan Refugee Camp. 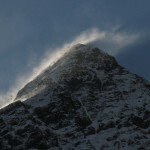 For more info on getting around see http://wikitravel.org/en/Annapurna. Nilgiri 2013. If you fly or take the bus to Jomson you will be greeted by stunning views of Mt Nilgiri. 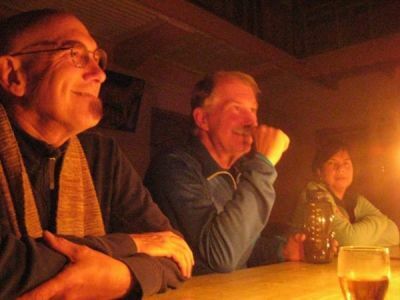 RWI trips have stayed at Rita’s Guest House south of Marpha and north of the gompa for a number of years. Rita and her husband Buddhiman, keep a friendly and tidy guesthouse with solar hot water and a rooftop laundry line. There are also a number of hotels in Marpha, 10-15 mins walk from the gompa. The Namgyaling Tibetan Refugee camp next door to the gompa also has a basic guesthouse.